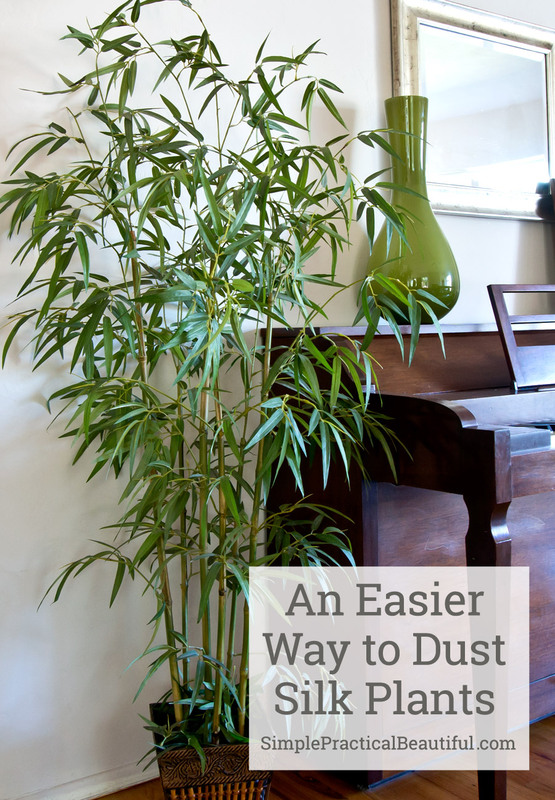 Silk plants need to be dusted, but there’s an easier way than wiping down each leaf with a dust rag. It’s also easier on your seasonal allergies. I love having plants in my home. 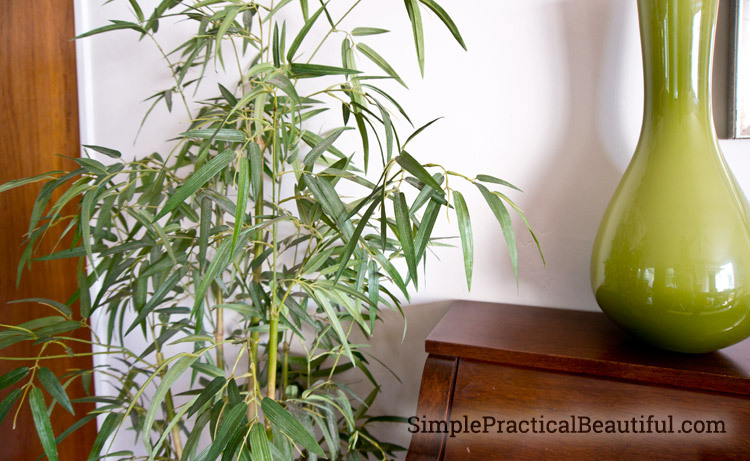 The greenery adds a layer of freshness and beauty to a room that nothing else can. However, because I am very inconsistent at watering and because I’m paranoid about damaging my wood floor, most of my rooms have silk, or fake, plants. 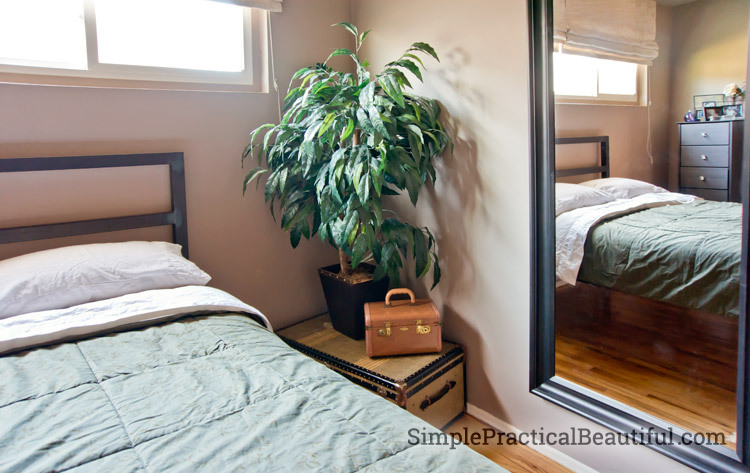 Whether real or fake, all indoor plants need to be dusted occasionally. The traditional, and cheapest, way of doing that is to wipe down the leaves with a dust cloth. That’s what I usually do with the mango tree in my room. The wide leaves collect a lot of dust, so with my seasonal allergies, I try to keep it pretty clean. Of course, I then have to shower after I’ve dusted or my allergies become unbearable. I’ve found there’s an easier way. It’s also gentler on silk plants. 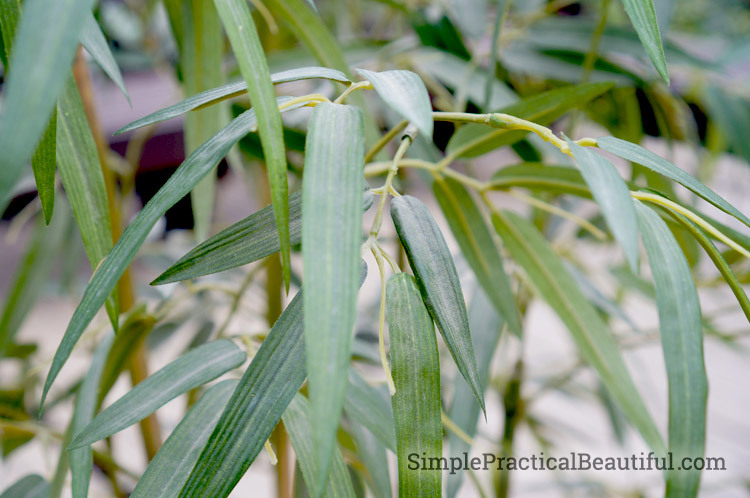 This is the bamboo tree in our front room. It’s not very sturdy and the leaves have already started to come off. The pressure of wiping each leaf would destroy it. 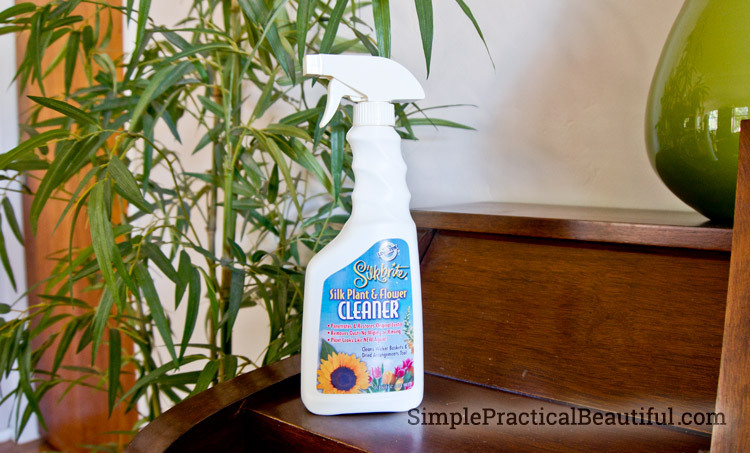 So, I use SilkBrite – Silk Plant and Flower Cleaner 16 Oz. 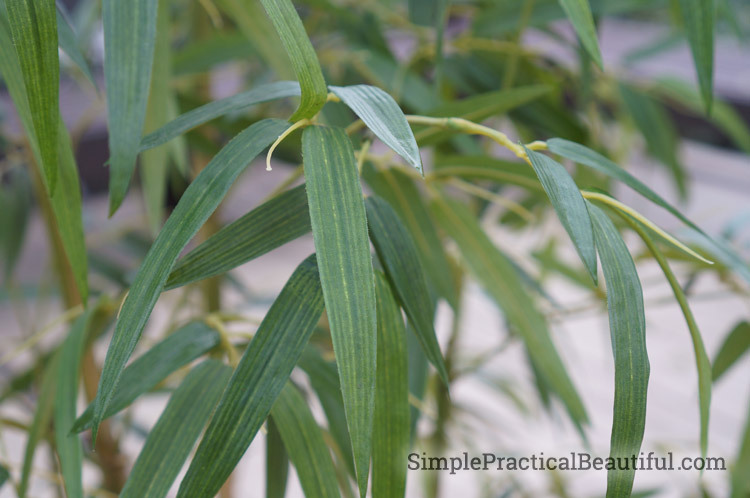 (an affiliated link) to dust my bamboo plant. Simple and effective. The bottle says it’s safe to use on any floor or surface, but I take it outside. Then I spray down the whole plant until the liquid starts dripping off the leaves. Once the leaves are dry, there’s no more dust. Sometime, if I haven’t cleaned it in a while, there’s a little dust left and I need to do a second spray. 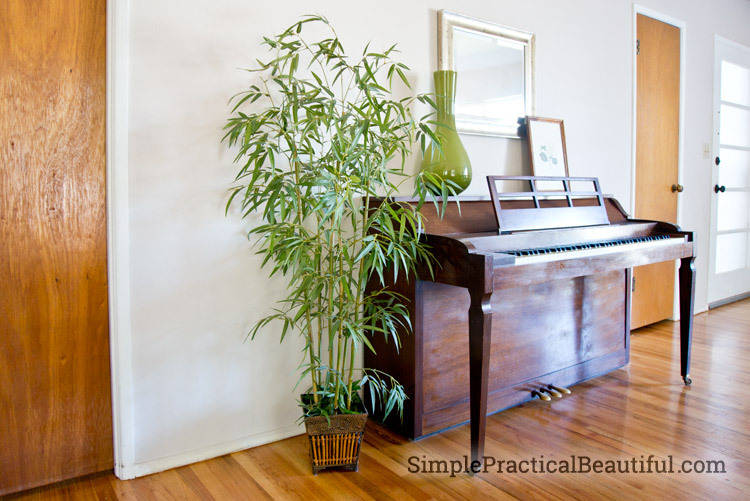 Here’s my delicate bamboo, all clean and back in the front room. (It needs a better base to make it taller—I’m working on that). The silk plant cleaner is great. It’s fast, easy, and wonderful for my allergies. A couple minutes to spray the plant, 15 more minutes to let it dry, and I have a clean, dust-free plant. Thank you for the great cleaning tip. I must confess I tend to forget to dust the silk plants until it looks like it snowed in the house. If I used this product it would certainly be easier to keep up with. Me too! I’m always so surprised after I dust or spray my silk plants how dark green the leaves actually are. I think they are really easy to forget about until you look closely at them. 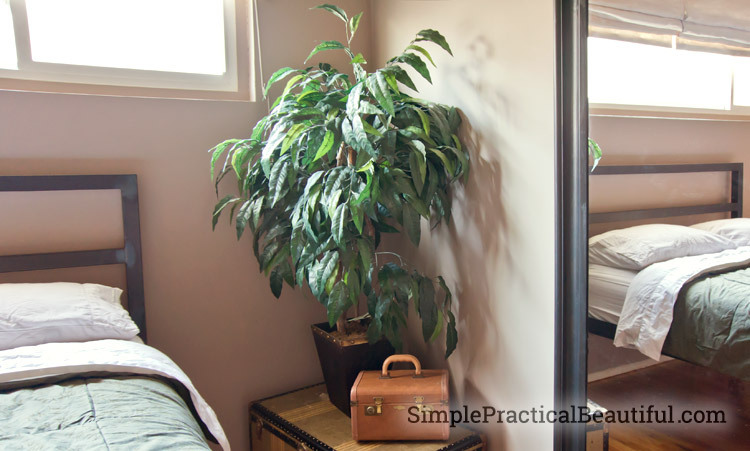 I agree with you Rebecca, having plants in a room makes it look so much more beautiful. But I am a brown thumb. I have plants out in the balcony and only the strongest survive. What I’ve been doing lately is bringing in branches off of bushes from the farm and I’ve been placing them in baskets to create some sort of green centerpiece. I really like your solution. Your silk plants are gorgeous. That’s a great idea to bring in outside branches. They would last much longer than cut flowers. And look so much more architecturally interesting. I’m going to start looking for some good branches in our yard now and where to put them in our house. Thanks! designerplants recently posted…Why Fake vertical gardens are the leading garden trend in 2016? The cleaner repeals dust so it lasts longer than using water and a sponge. It gives it a nice finish! 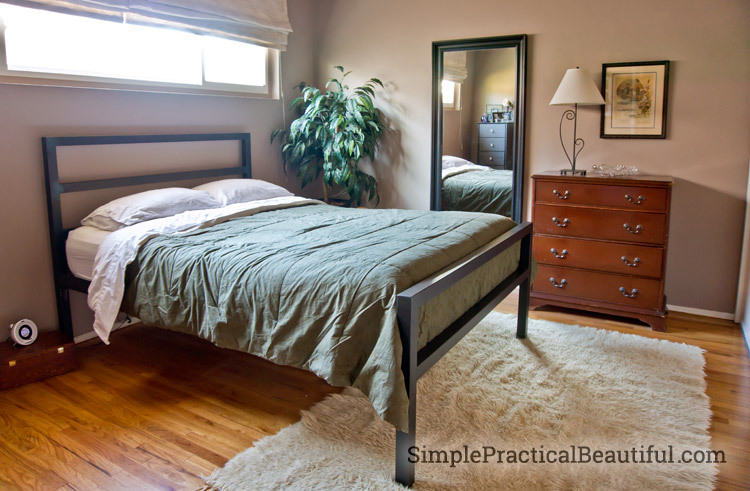 Thanks for sharing your cleaning tips! I too, am I brown thumb. My mother has a green thumb, but unfortunately due to lack of interested and work busy, I didn’t inherit such ability. 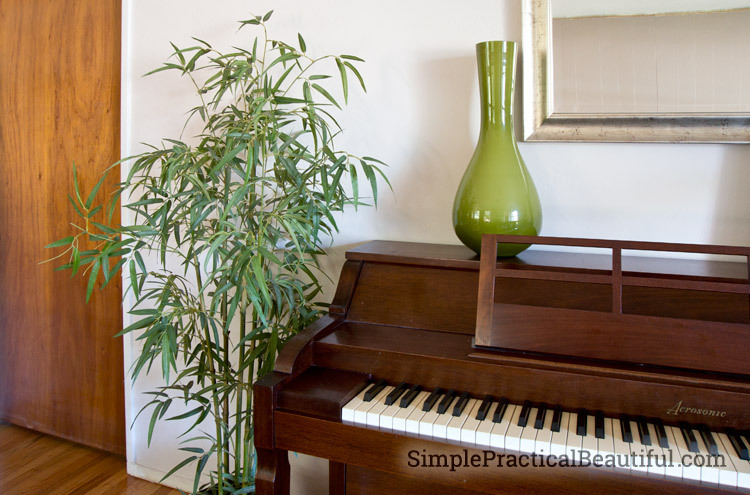 Nevertheless, I like to decorate my home with plants, they just add color, vibrancy, and life to the room. I agree, the cheapest way to clean artificial plant is with a dust cloth but nowadays, there are a lot of good brands out there but I use the FloraCraft Silk’n Splendor spray.